Walt Disney World is the healthiest place on earth. Yes, I said the healthiest place on earth. OK, that might be a bit of an exaggeration, but where else does the average visitor walk 8 miles a day with a smile on their face? 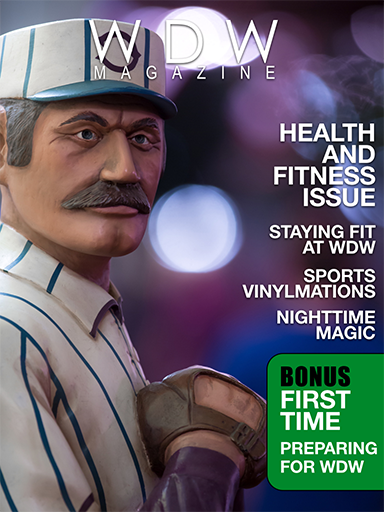 This month in WDW Magazine we look at how a Walt Disney World vacation can be a healthy, while still being a fun, vacation. Our feature articles covers WDW fitness activities like biking, tennis, swimming and even horseback riding. We then turn to eating well on vacation and how Disney has a huge “sporty side”. We also take a look at how Disney sets an example for companies through a commitment to health and being a model corporate citizen. In our Helping Hands section Dave talks about how to prepare physically for a WDW vacation. Donna takes us over to Tri-Circle D Ranch at Ft. Wilderness and Amanda talks about items you must have for a rainy day. Bring the Magic Home this month is really fun. It starts out with a Disney inspired mini-golf course at home. Then our recipe of the month comes in with 3 tasty and healthy dishes from Narcoossee’s and Le Cellier. Our Best of WDW locations this month are the All Star Sports, Casey’s Corner, Test Track and the Sportsman’s Shoppe. Wow, what a lineup. Don’t stop there. In the FanZone we added a new section this month with Greg from VinylmationWorld.com writing about sports Vinylmations. Also we have your feedback on what is your favorite athletic activity at WDW. Finally in our Around the World section, this is really good, we have news, some really great trivia, history, a Disney World/Disneyland Pirates of the Caribbean Throwdown, and our Cast Member Experience. 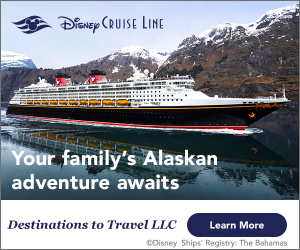 Oops, not finished yet, Jackie is back with another great Disney Cruise article. James talks about the Jogging Trails at the resorts and finally Kathleen has a really good article about the Richard Petty Driving Experience. Whew, that’s a full issue. We hope you enjoy.